Meanwhile lets just say that we are proud MHARF contributed a whooping 106 entries. 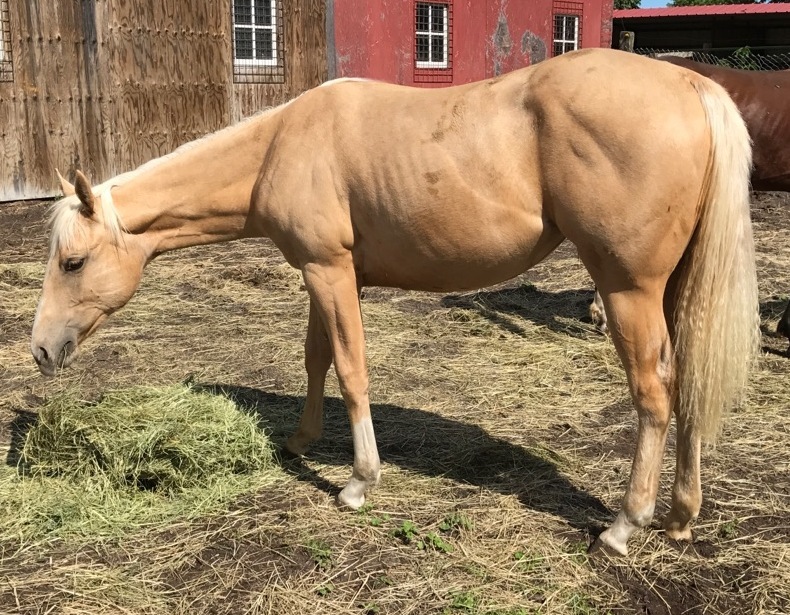 Nikita is a 2007 buckskin and white pinto draft cross mare who stands approximately 15.2hh. She competed in our 2016 Trainers’ Challenge with trainer Amanda Schultz. Nikita was adopted but was returned because her adopter could not keep her. As of July 2018 she is back in training once again at oasis Equestrian Center with Ralea Casperson of RKC Dressage, LLC. 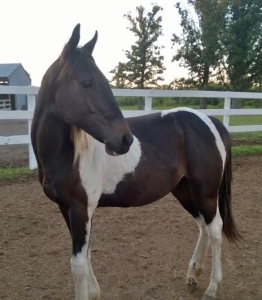 Ralea says Nikita is a very nice mare who will make a wonderful hunter or dressage horse. Chico is a very nice 14.2hh appaloosa gelding who was foaled in 2000. He came to MHARF in 2002 as an emaciated stud who was chained in a barn. He was adopted by his foster home but sadly they have had to return him. He is well broke to ride and has plenty of trail experience. Chico has a great temperament and is good for vet, farrier and loading. This summer Chico participated in the Truhaven Ranch 60 Day Rescued Horse Trail Competition. This adorable palomino filly was foaled at MHARF after her dam, Paloma, was taken in during a December 2015 Hubbard County humane case. Loma Linda was foaled on 04/15/16. She’s a big well-muscled filly but unfortunately she was born with a condition known as Parrot Mouth. This condition is somewhat treatable with regular dental care. Loma Linda will need her teeth floated by veterinarian every 6 months for the rest of her life and will need an adoptive home that is willing to do this.